Food is not what it once was, our grandparents did not have the same health concerns h we now do. Conventional farming and the chemicals that go along with its practices have taken a toll on our overall health, specifically our inflammation and gut health. We are going to review specifically gluten, dairy, and additives and how they disrupt our metabolism and can even cause chronic inflammation. Eating lots of refined grains, specifically those containing gluten may also affect your metabolism and weight loss efforts. Even many products that appear to be “whole grain” — and therefore assumed to be healthy — can contribute loads of mostly empty calories to your diet, without much nutrient benefit in return. Surveys shows that the standard American Diet has some of the biggest grain offenders include: commercially sold breads, pasta, cereals, crackers, muffins, desserts, flours, chips and granola bars. To help combat obesity, the USDA now highly recommends cutting back on foods that contain refined grains. 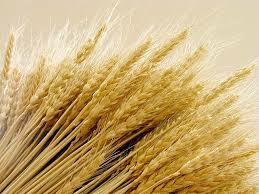 Specifically refined grain foods that contain solid fats, added sugars and sodium (think Little Debbie). Studies show that higher refined grain intake is associated with increased risk of cardiovascular diseases as well as with inflammatory protein concentrations. Some foods are disguised as healthy are whole grain wraps, breads and crackers but these items are still processed and do not help out the metabolism and can cause problems. Study results are not totally conclusive, but depending on the individual, some evidence links even whole grain consumption with changes in gut health and microbial metabolism. When consumed in excess, refined grains can provide you with high levels of certain compounds that may hurt your metabolism, including gluten, lots of starch and phytic acid. Many packaged grain products also contain lots of added sugar, salt, synthetic preservatives and are “fortified” with synthetic vitamins and minerals that can be hard to metabolize properly. For many people (although not all), gluten can cause inflammation; this is the cause of most chronic diseases. The scary part about inflammation is it can be so mild that people are unaware of the damage or risk it is causing. People react to eating starches and lots of carbohydrate foods differently, but for those who are not very active or prone to weight gain, starches can turn into sugar quickly once consumed, cause overeating or cravings, due to fluctuations in insulin levels. Another major concern is that these individuals ultimately are not getting as many essential vitamins or minerals as fruits and vegetables would give them. Research shows that the phytic acid, a compound found in grains and legumes, binds to minerals, so while you might think grains are a good source of things like essential minerals and vitamins, phytic acid can prevent you from absorbing as much as you’d think. A better option for fat loss is replacing your daily intake of refined grains with fruits and vegetables, and consuming 100 percent unrefined whole grains in moderation. Some health food store or isles in the grocery store label the unrefined grains as ancient grains, these items include things like rolled oats, buckwheat, wild rice, quinoa, teff and millet. According to researchers at Harvard Medical School, consuming ancient whole grains as part of an otherwise balanced diet can have benefits like supplying lots of fiber, reducing hunger, lowering high blood pressure and improving cholesterol levels. That’s because only unprocessed whole-grain kernels include three beneficial parts — the bran, endosperm, and germ — meaning they don’t have their phytonutrients, vitamins, and antioxidants removed. However, for best results with weight loss I recommend consuming only about 1–2 servings per day of sprouted grain bread, unless you have true gluten intolerance. Experiment with gluten free flours; instead of wheat flour, use coconut flour or almond flour. Coconut flour is a dieter’s best friend because it’s high in fiber, which supports rapid fat loss, and contains filling, healthy fats that your body can burn as fuel. The motives for Americans to consume more dairy have become transparent in the past few years- our country economically thrives off of dairy. On the other hand many Americans, including some vegetarians, still consume large amounts of dairy products because they were educated that it is a great source of protein and we need it for vitamin D and calcium. Here are some reasons to reconsider consuming diary. Milk is touted for preventing osteoporosis, yet clinical research shows otherwise. The Harvard Nurses’ Health Study, which followed more than 75,000 women for 12 years, showed no protective effect of increased milk consumption on fracture risk. In fact, increased intake of calcium from dairy products was associated with a higher fracture risk. An Australian study showed similar results. In addition to those studies, other studies have concluded that there is no protective effect of dairy calcium on bone. You can decrease your risk of osteoporosis with healthy lifestyle behaviors such as, reducing sodium and fatty animal protein intake in the diet, increasing intake of fruits and vegetables, exercising, and ensuring adequate calcium intake from plant foods such as leafy green vegetables and beans, as well as calcium-fortified products such as breakfast cereals and juices. Dairy products—including cheese, ice cream, milk, butter, and yogurt—contribute significant amounts of cholesterol and fat to the diet. Diets high in fat and saturated fat can increase the risk of several chronic diseases including cardiovascular disease. A heart healthy diet rich in fruits, vegetables, unrefined grains, quality all natural protein and of course unsaturated heart healthy fats are the best way to reduce cardiovascular risk. Several cancers, such as ovarian cancer, have been linked to the consumption of dairy products. The milk sugar lactose is broken down in the body into another sugar, galactose. In turn, galactose is broken down further by enzymes. According to a study by Daniel Cramer, M.D., and his colleagues at Harvard, when dairy product consumption exceeds the enzymes’ capacity to break down galactose, it can build up in the blood and may affect a woman’s ovaries. Some women have particularly low levels of these enzymes, and when they consume dairy products on a regular basis, their risk of ovarian cancer can be triple that of other women. Breast and prostate cancers have also been linked to consumption of dairy products, presumably related, at least in part, to increases in a compound called insulin-like growth factor (IGF-I). IGF-I is found in cow’s milk and has been shown to occur in increased levels in the blood by individuals consuming dairy products on a regular basis. Other nutrients that increase IGF-I are also found in cow’s milk. A recent study showed that men who had the highest levels of IGF-I had more than four times the risk of prostate cancer compared with those who had the lowest levels. Sugar simply feeds cancer, even if it is natural milk sugar. Lactose intolerance is common among many populations, affecting approximately 95 percent of Asian Americans, 74 percent of Native Americans, 70 percent of African Americans, 53 percent of Mexican Americans, and 15 percent of Caucasians. Symptoms, which include gastrointestinal distress, diarrhea, and flatulence, occur because these individuals do not have the enzymes that digest the milk sugar lactose. Additionally, along with unwanted symptoms, milk-drinkers are also putting themselves at risk for development of other chronic diseases and ailments such as leaky gut. Synthetic hormones such as recombinant bovine growth hormone (rBGH) are commonly used in dairy cows to increase the production of milk. Because the cows are producing quantities of milk nature never intended, the end result is mastitis, or inflammation of the mammary glands. The treatment requires the use of antibiotics, and traces of these and hormones have been found in samples of milk and other dairy products. Pesticides and other drugs are also frequent contaminants of dairy products. The American Academy of Pediatrics recommends that infants below one year of age not be given whole cow’s milk, as iron deficiency is more likely on a dairy-rich diet. Cow’s milk products are very low in iron. If they become a major part of one’s diet, iron deficiency is more likely. Colic is an additional concern with milk consumption. One out of every five babies suffers from colic. Pediatricians learned long ago that cows’ milk was often the reason. We now know that breastfeeding mothers can have colicky babies if the mothers are consuming cow’s milk. The cows’ antibodies can pass through the mother’s bloodstream into her breast milk and to the baby. Food allergies appear to be common results of milk consumption, particularly in children. A recent study also linked cow’s milk consumption to chronic constipation in children. Researchers suggest that milk consumption resulted in perianal sores and severe pain on defecation, leading to constipation. Milk and dairy products are not necessary in the diet and can, in fact, be harmful to your health. Consume a healthful diet of ancient grains, fruits, vegetables, legumes, and fortified foods including cereals and juices. These nutrient-dense foods can help you meet your calcium, potassium, riboflavin, and vitamin D requirements with ease—and without the health risks. If you must still consume dairy choose organic options to avoid hormones and additives. There are also several tasty dairy substitutes such as almond milk, coconut milk, or even rice milk. We avoid soymilk too unless advised to consume soy by your doctor. Soy is genetically modified and can mimic estrogen, which is dangerous for those who struggle with low testosterone, breast or prostate cancer. Pennington JAT. Bowes and Churches Food Values of Portions Commonly Used, 17th ed. New York: Lippincott, 1998. Clyne PS, Kulczycki A. Human breast milk contains bovine IgG. Relationship to infant colic? Pediatrics 1991;87(4):439-44. Iacono G, Cavataio F, Montalto G, et al. Intolerance of cow’s milk and chronic constipation in children. N Engl J Med 1998;339:110-4.